Recently Xiaomi released the new Mi A1 under the Android One program by Google. Which means that the Mi A1 is running on the Stock Android and not on the MIUI. And many Xiaomi fans bought this phone to enjoy the stock Android on the first Xiaomi phone. No doubt the phone comes with some impressive features and the best part is that it runs on the Stock Android version. The best thing about this phone is that the phone is developer friendly and easy to unlock. No need to use the Mi Unlock tool to Unlock Bootloader on Xiaomi Mi A1. One you successfully unlock the bootloader of your Xiaomi Mi A1 android one phone, then after that, you can easily root MI A1 with the help of TWRP recovery. So here in this guide, we are going to show you how you can easily unlock the bootloader of your favorite MI A1. The process is straightforward, and all you have to run some ADB commands on your windows pc, and after that, you can successfully unlock MI A1. So let’s get started and Unlock Bootloader on Xiaomi Mi A1. This method is only for the Xiaomi Mi A1 users and doesn’t try this guide on any other Xiaomi phones. Otherwise, you will brick your phone. Read all the steps very carefully and follow all of them one by one on your phone. Install the ADB drivers on your windows PC here and you will see an ADB folder on your windows C drive. 2. Now you have to boot your phone in fastboot mode to run some ADB commands. First Switch off your phone and now Hold Volume Up + Power button for few seconds. 3. Now your phone will boot into the Fastboot mode. 4. Connect your phone to the PC with the USB cable and open the ADB folder that you created while installing the ADB drivers on your windows. 5. Open the ADB folder, Press shift + right click and click open command prompt window here. It will open a CMD popup window there. 6. Now your phone is connected to the PC. To check the connection enter the following command in the command prompt window. 7. Now to unlock MI A1 bootloader enter the following command. Now this command will unlock the bootloader of your MI A1 phone. 8.Now at the end enter this command to reboot your phone. Voila! 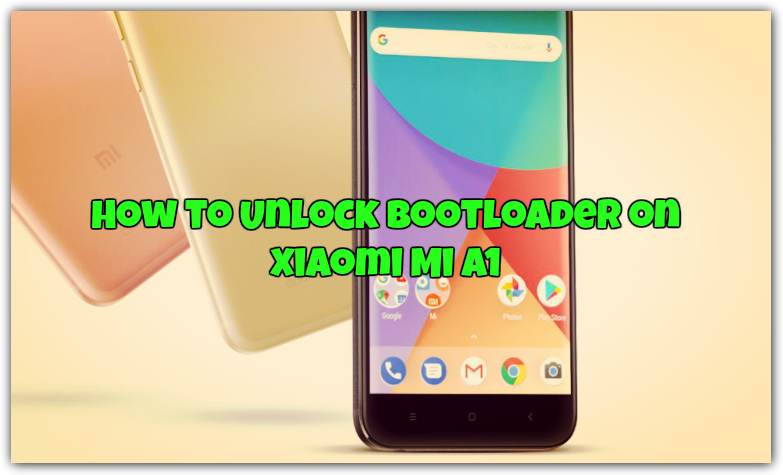 You successfully unlock the bootloader of your Xiaomi Mi A1 phone. Now you can install the TWRP and flash supersu zip file to root the Mi A1. Hope you guys like this guide, if you have any doubts or any questions on your mind, then leave the comment below, we will help you to fix it up. Can I install MIUI 9 on Mi A1?